Yamakoshi City, Niigata Prefecture, Japan, where the demonstration experiment was conducted, has one of the major Nishikkigoi pools in Japan. To breed a beautiful and large Nishikigoi, spraying all over the terraced ponds with pesticide in a boat is time-consuming and labor-intensive. 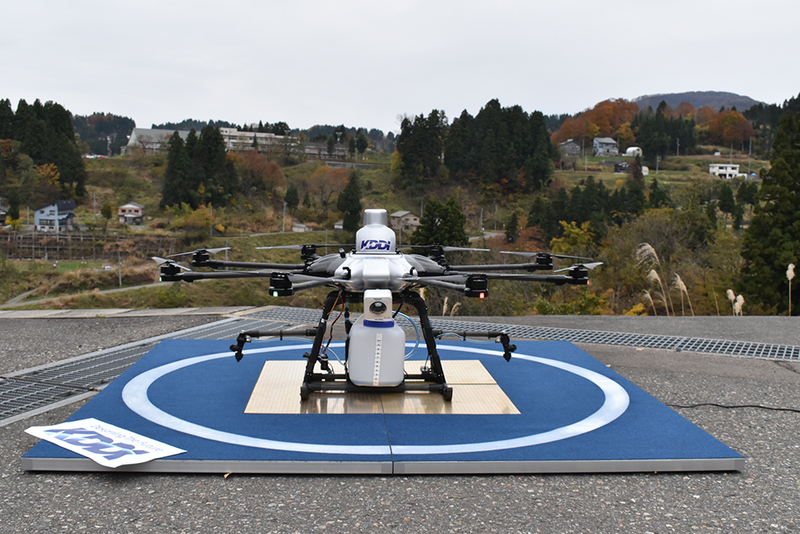 PRODRONE and KDDI aim to establish an infrastructure that enables secure long-distance autonomous flight utilizing Smart Drone and the mobile communication network. 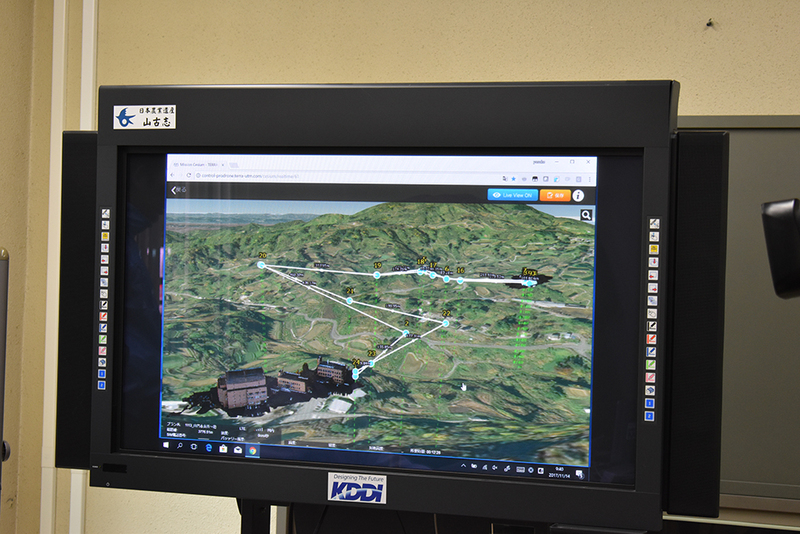 This demonstration is an experiment for safe flight altitude setting on the “3D map” and automatic charging by “Drone Port”, which verified that the long-distance autonomous drone flight is technically possible. The demonstration proved that you can automatically set altitude and apply effective pesticide spraying just by setting the location. 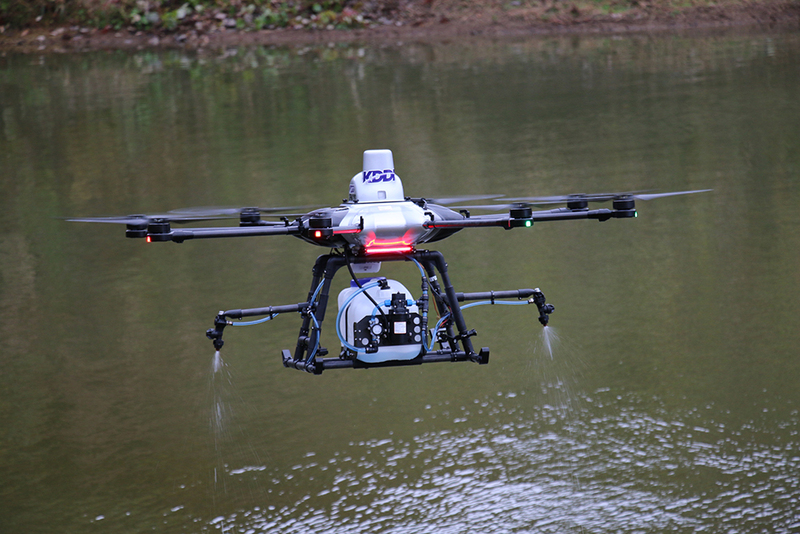 In the future, once the infrastructure for smart drone’s long-distance autonomous flight using the mobile communication network has established, this platform will be useful in the fields of topography/equipment survey, facility security, disaster monitoring and delivery to remote areas as well as agriculture.